An industrial manufacturing company in Canada that employs 2,200 people in its primary location in Mississauga, Ontario. This manufacturing organization provides equipment and machinery to the construction and manufacturing industries. had too much hardware with too much horsepower for the users’ requirements. The IT department had no sense of total print volumes or costs, so a brief study was conducted. The study revealed that the colour print volume and costs were very high. Many departments were running a large number of wasted print jobs that were being left behind on the print devices and eventually ending up in the recycling bin. This was cause for concern for IT security given that confidential printing happens in open production and distribution areas where high traffic of external people pass through. 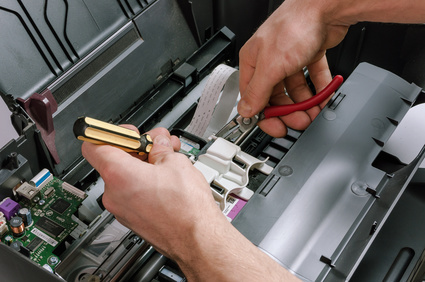 Finally, given the number of print drivers required to support such a diverse group of printers, IT was often required to sort out print driver conflicts and user issues with printing; managing the print servers was the biggest head ache for IT infrastructure support. The current state assessment was performed in order to understand the complex workflow within the organization. Many of the departments had requirements for printing and integrated document workflows that differed from one department to another. Standardized the print fleet by using 5 different print devices instead of 40, from 2 manufacturers instead of 6 to cover off the needs for all departments. Enabled a reduction from 212 devices down to 125 without impacting user convenience and efficiencies. Simplified procurement through vendor consolidation i.e. by decreasing suppliers from 8 down to 1, resulting in the elimination of having to produce more than 50 purchase orders monthly to operate the print fleet with 1 quarterly bill that includes all equipment, software, and managed print services. Implemented simple workflow and security software solutions to lock down the print environment and support user efficiency. 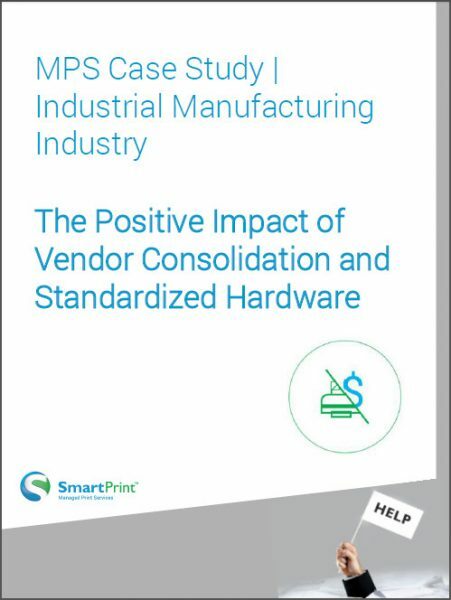 See how vendor consolidation and MPS positively impacted this organization’s bottom line, print fleet and print production volumes.